Certified. 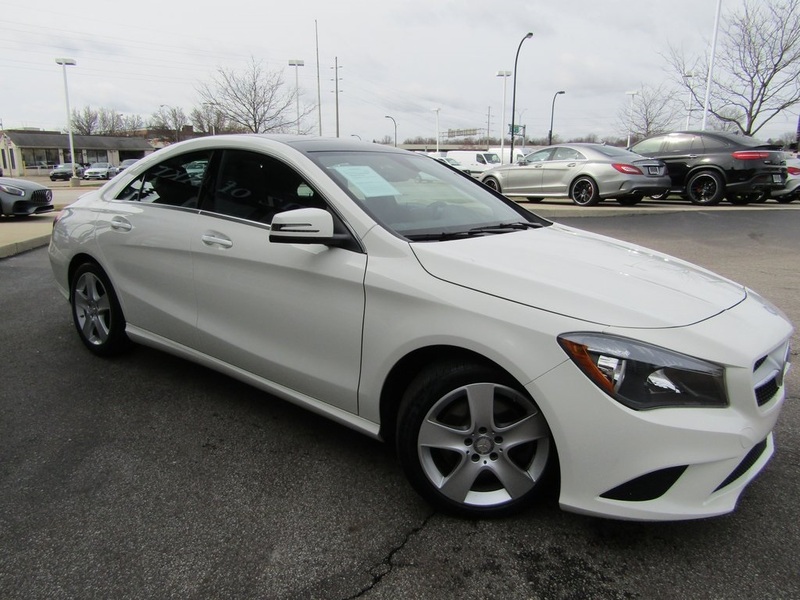 Cirrus White 2016 Mercedes-Benz CLA CLA 250 4MATIC® 4MATIC® 7-Speed Double-clutch 2.0L I4 Turbocharged 17" 5-Spoke Alloy Wheels, Auto-Dimming Mirrors, Black Ash Wood Trim, Blind Spot Assist, Compass, Garage Door Opener, harman/kardon®® Sound System, Heated Front Seats, Illuminated Star, KEYLESS GO®, Panorama Sunroof, Premium 1 Package, Rear Spoiler, Rear-View Camera, SiriusXM Satellite Radio. Pre-Owned vehicle pricing includes all offers. Tax, Title and Tags not included in vehicle prices shown and must be paid by the purchaser. While great effort is made to ensure the accuracy of the information on this site, errors do occur so please verify information with a customer service rep. This is easily done by calling us at (330) 733-7511 or by visiting us at the dealership.